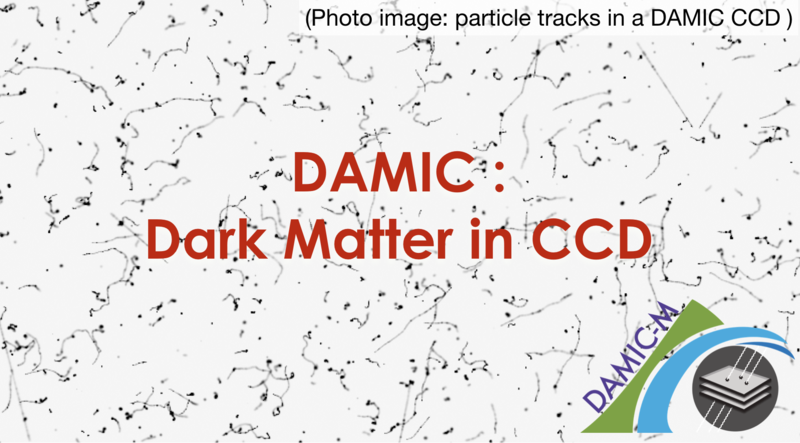 The DAMIC (DArk Matter In CCD) experiment employs the bulk silicon of scientific-grade charge-coupled devices (CCDs) as target for the interactions of dark matter particles. The CCDs, which are well devices in digital imaging and astronomy, are used in DAMIC as target for the detection of the nuclear and electron recoils. The low mass of the silicon nucleus provides good sensitivity to WIMPs with low masses (< 10 GeV/c2), while the small band gap of silicon provides sensitivity to dark matter-electron interactions that deposit as little as 1.1 eV in the target. A detector with a total mass of 40~g is installed at the SNOLAB underground laboratory (Canada) since 2017, and is currently taking data. It has demonstrated the potentiality for dark matter searches in CCDs and has provided measurements of the background contamination. An upgrade of the detector, DAMIC-M, financed by an ERC advanced grant and by NSF in US, will be installed at Modane Laboratory in France. With a total mass of 1kg and an ionization threshold of 2 electrons it will allow the detection of sub-GeV WIMPS masses and dark matter candidates beyond the WIMPS paradigm. The latest DAMIC results and the future plans for DAMIC-M will be detailed in the seminar.